It's been nearly 60 years since 24-year old James Dean met his demise on a lonely stretch of Route 466 in Cholame, California. The violent crash forever linked the young Hollywood star with the car he was driving: a 1955 Porsche 550 Spyder. 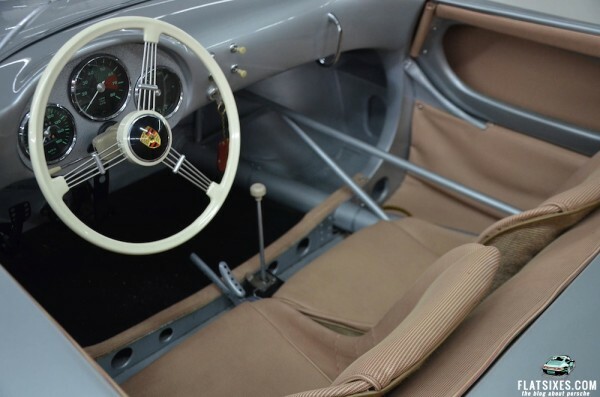 Designed primarily as a racecar, Porsche built 90-550 Spyders from 1953-56. The car achieved significant success racing against more powerful competitors and became known as the "Giant Killer." The Spyder's excellent performance, beautiful exterior and unfortunate Hollywood connection have made the survivors highly sought after. On the rare occasion when a 550 becomes available, they command huge prices. 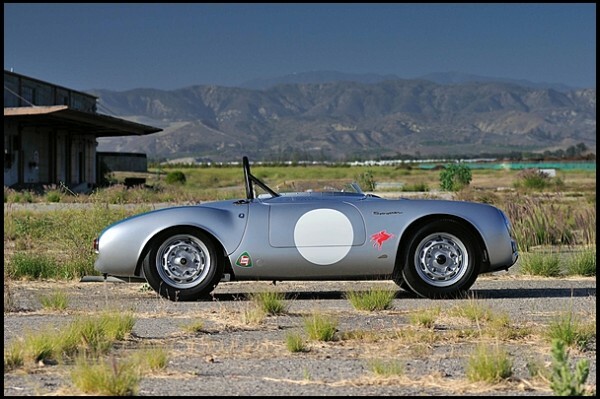 In 2012, a 550 sold at the Amelia Island auction for nearly $3.7 million. And another sold this past weekend at Mecum’s Pebble Beach auction for $3.75 million. Since the chances of owning one of the few originals is so slim for all but the most well-heeled and well-connected enthusiasts, there have been a number of companies over the years making inexpensive fiberglass "kit-car" copies of the 550. While these vehicles capture much of the look of the Spyder, this is were the similarity ends. Most of these cars are powered by anemic VW Beetle engines, use low-cost (aka cheap) materials and suffer from inconsistent and off-times shoddy build quality. What if you could replicate the original 550 with the same materials and construction? A father-son duo from Prospect, CT has done just that. Ben and Rob Edwards are longtime Porsche enthusiasts and run a very successful national company catering to small manufacturers, engineers and buyers. Ben owned an original 550 and sold it 15 years ago. Not a day goes by that he doesn’t regret selling it. With prices escalating, and availability extremely scarce, acquiring an original 550 isn’t in the cards for them. So, Ben and Rob decided to make their own. After four years, countless hours and considerable financial resources, Ben and Rob created what most dismissed as impossible. 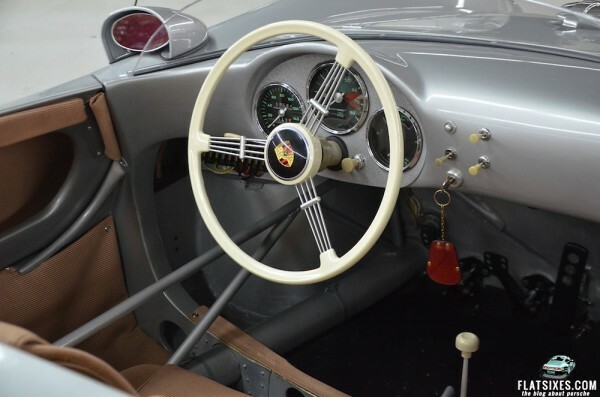 Their company, Spyder Creations, is marketing an incredibly accurate reproduction of the 550 Spyder. 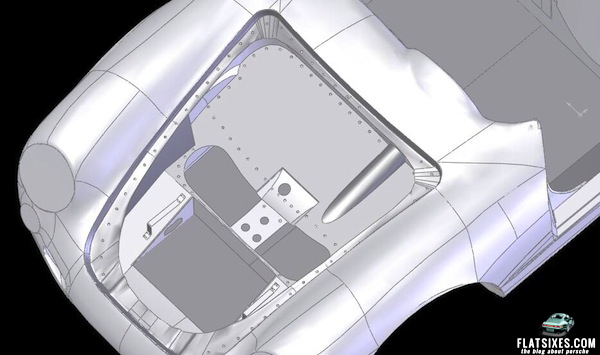 Using more than 600 highly-detailed CAD drawings taken from the last Spyder produced (chassis number 550-090) Spyder Creations is selling a vehicle that is imperceptible from the original. Rob and Ben brought together an impressive group of individuals to bring their dream to life. They commissioned an aluminum craftsman extraordinaire by the name of Ingo Poth to build the chassis and bodies. Using a wooden buck, just as Porsche's craftsmen did 60 years ago, Ingo's Ft. Lauderdale, FL based AlloyCars hand-hammers aluminum into the stunning 550 body, with the same detail used by the original craftsmen including double-walled panels. The bodies and chassis are then shipped to Connecticut for final preparations and assembly. After weeks of meticulous paintwork, the cars are brought to longtime Porsche expert Spencer Cox's SpeedSport Tuning in Danbury, CT. There, Jeff Adams and his team bring the full car to life. Jeff is known nationally for his knowledge and skill with air-cooled and four-cam Porsches. Using original drive-trains – either push rods or the legendary Fuhrman four-cam engines – the recreations have not just the look, but the heart and sole of the originals. To find out if they’ve been able to recreate a piece of history, I recently took Spyder Creations first completed car for a drive on the windy, hilly roads near SpeedSport Tuning’s Danbury shop. 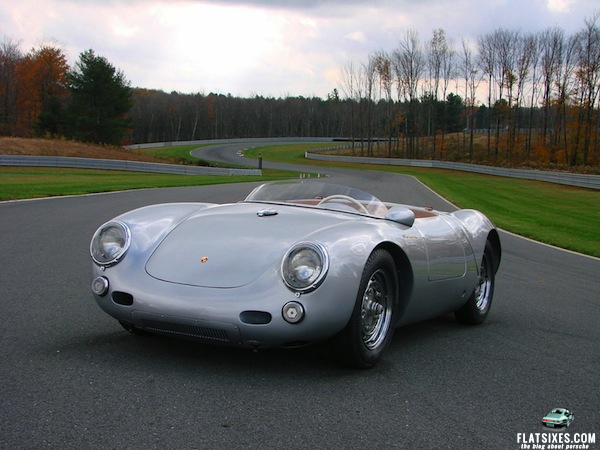 And since I’ve driven a few early Porsches (356, 912, 911) but have zero experience driving a real 550, I took Jeff Adams along for the ride and encouragement. This first car has a pushrod engine from a 912, essentially the same power plant as the first 500 Spyders built. This particular engine is a 1.6 with a big bore kit, bringing displacement up to 1.7 liters. The next one will get one of Ben’s four-cam engines, which Jeff has been painstakingly rebuilding. Approaching the Spyder you are taken in by its stunning beauty and diminutive size. Getting in is fairly easy, but knowing the value of the car (will get to that shortly) I am extremely careful not to step on or scratch anything. The large, thin-rimmed steering wheel is accurate - coming out of a 356 - and the low back bucket seats are firm and supportive. However, with only a lap belt and no head restraints, this is not a car Ralph Nader would endorse. The material covering the seats has been recreated to the exact specifications of the original vinyl right down to the color and texture. The car uses original parts where available or exact recreations. Ben and Rob called upon their broad network of suppliers across America to produce transmission mounts, trailing arms, shock mounts, engine mounts, shift levers, door handles & escutcheons, door locks, seats, parking brake handles, shifter rods, etc. You see the attention to detail everywhere you look in the car. With a turn of the key and a push of the starter button, the engine roars to life and Jeff instructs me to give a solid shove on the shift lever to engage first. I release the handbrake and blip the throttle to hear the raspy exhaust note. With a feathering of the clutch, we’re off. As we accelerate, the long shifts need to be deliberate, but the car responds immediately to throttle inputs. The low windscreen only minimally deflects the air rushing over the car’s nose. As a motorcycle rider, I feel right at home. The suspension is stiff and you feel the road imperfections, but it’s not the bone-jarring beating I expected as our speed increases on a broken stretch of road. The minimalist pedals are nicely placed for heel-and-toe downshifting as we approach the twisties, the car taking to the corners much better than you would think. There is no body roll and the car feels incredibly nimble. The brakes are firm yet responsive, not surprising considering how little mass – only 550 kilograms – there is to bring to a stop. I find myself approaching the corners with more speed as my confidence in the car grows. I soon realize though that I’m beginning to press my luck, and not wanting to pull a James Dean into an errant minivan, I head back to the shop. 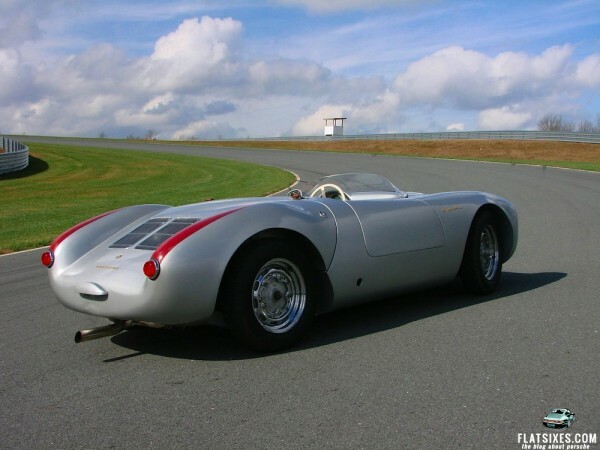 Jeff has driven an original Porsche 550, and he says this car does indeed drive like the real thing. I’ll take his word for it. I do know it feels much more like a racecar than any early Porsche I’ve driven. And boy, is it fun. Which brings us to the price. The push-rod equipped cars are priced at $320K. If you want the four-cam engine, they will be based on market price of those rare engines, which is currently about a $150K premium over the base car. The car is aimed at two unique audiences: first, those affluent enthusiasts who’ve wanted an original 550 but have seen prices get out of reach. At $320K, this car is a bargain to them. The second group are owners of original cars who want to drive them but are looking at the escalating value and are fearful of damaging their investments. To them, the Spyder Creations car is like a high-end copy of a priceless painting they can hang in their home while the original sits in a vault. I guess you could call that having your cake and eating it, too. Yum. Is This the Final Picture of James Dean in his Porsche 550 Spyder? Beautifully made car but still out of reach price-wise for a majority of car enthusiasts. I’ll have to be satisfied with my Boxster as the closest car to a 550 Spyder I’ll ever own and I don’t have a problem with that. Great article Roger! 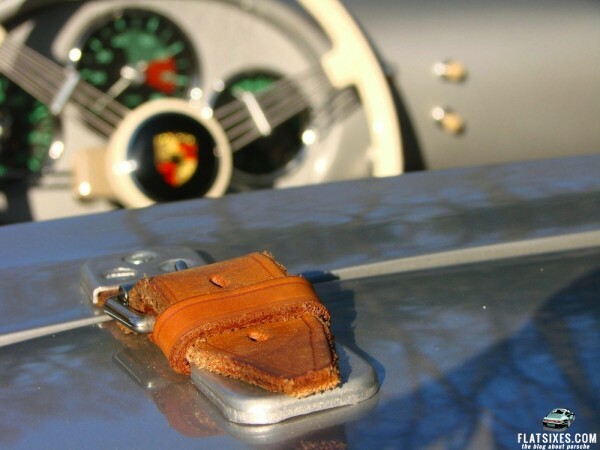 I’m waiting in my 63 356 Super90 whenever you want to go for a spirited drive! Love the New England back roads in the early morning. Lime Rock Historic’s maybe??? The anemic VW engines that power most replicas generally run 60 to 70 hp more that the oringinals 125 HP The bodies are Hand laid FG and at least with the Becks very very nicely done. So the same weight as the original more hp modern tires and disc brakes — you do the numbers. Similarly if you look at the originals – they were built as race cars – and most of the joints are utilitarian at best. I own a 550 replica. A replica is built with no donor car or frame. A replica is built with all new parts manufactured to build that specific car, no different then what is described above. My replica has a aircooled Porsche 914 engine with 2316 displacement and has about 190 HP with 180 ftlb of torque. The weight is 1,200 lbs. Unless you (the builder of the above) get yourself some power you will not keep up with the anemic engines you refer to.